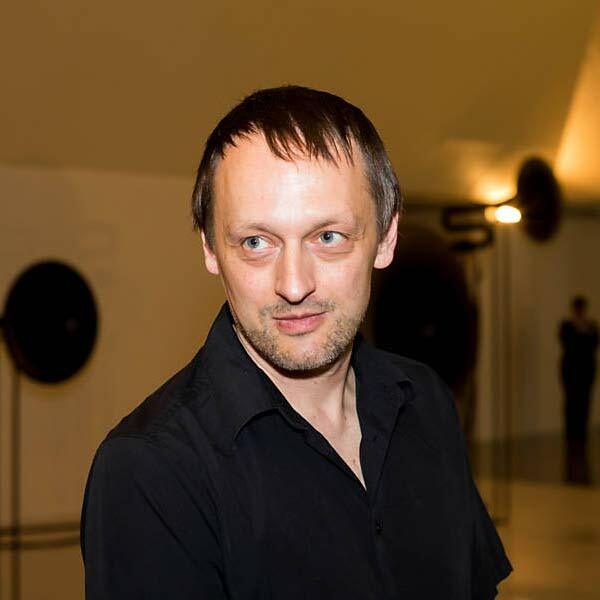 Thom Kubli (*1969) works as artist and composer in Berlin. His practice is multidisciplinary, blending elements of composition, sculpture, and conceptual approaches. His installation pieces oscillate between spectacle and contemplation, exploring the boundaries of physical space and viewers behavior by inventive use of digital technologies. His performances and installations have been shown internationally, amongst others at the New Museum of Contemporary Art, NYC, Ars Electronica, Linz , Transmediale, Berlin, Eyebeam, NYC, Laboratorio Arte Alameda, Mexico City, FILE, São Paulo, LABoral, Spain and in numerous art galleries. His composition pieces and experimental radio plays have been widely broadcasted through public radio stations as WDR/Ars Acustica, DLRK, ORF, SRF and others. Peter Kiefer, ed., Klangräume der Kunst (Heidelberg: Kehrer Verlag, 2010), 366-367. Kathleen Forde, ed., Dancing on the Ceiling: Art and Zero Gravity (New York: EMPAC, 2010), 22-23, 43. Umi, The Politics of Sound: Thom Kubli´s Sound Installations, CASE DE HABITARE China, No.34 (2010), 61-63, 130-131. Alan Licht, Sound Art: Beyond Music, between Categories (New York: Rizolli, 2007), 119. Kathleen Forde, What Sound Does A Color Make? (New York: Independent Curators International, 2005) 23. Christian Huther, Unter Strom: Klangskulpturen, Roboterplastiken, multimediale Installationen, Kunstforum No. 172 (2004): 359. Jürgen Kisters, Genlaboratorium, Kunstforum No. 155 (2001): 383.